XOLO Q3000 is a gorgeous dual sim phone with captivating features that makes the phone to stand out the best and a smartphone. 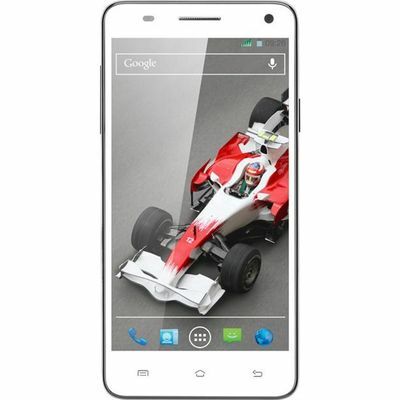 Get a magnificent and fair view as the phone has a big 5.7 Inches IPS Display screen. 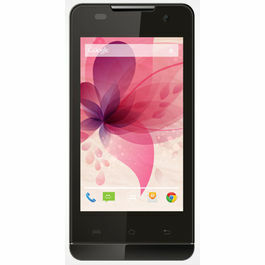 Now with XOLO Q3000 see the pictures, videos etc. more clearly as it has a full HD screen with a resolution of 1920 x 1080 Pixels. It gives life to pictures with a color depth of 16M. Get a power pack and robust combination of Android v4.2 Jelly Bean Operating System and 1.5 GHz MTK 6589 Turbo, Quad Core as Processor. This dynamic blend makes the functioning of the phone very smooth and effortless. Now with XOLO Q3000 don't miss out a single update of your social networking websites as now getting connected with internet is possible with Wi-Fi. It has Android as preinstalled browser that facilitates you to download apps and more. 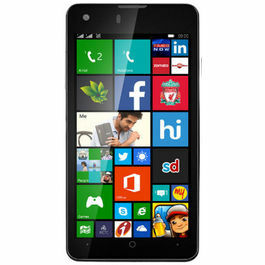 The phone supports 3G network with a bandwidth of 42 Mbps HSDPA; 11.5 Mbps HSUPA. You can share and transfer your pictures, music, videos and other data within fraction of seconds with USB and Bluetooth. Are you searching for the shortest route to your destination or unaware of the routes then leave your problem on XOLO Q3000 as the phone supports Standalone, A-GPS, with Google Maps that will make sure that you reach to your destination easily with utmost accuracy. Give chance to the hidden photographer in you and give wings to your creativity with the brilliant 13 MP Rear camera with BSI 2 Sensor. 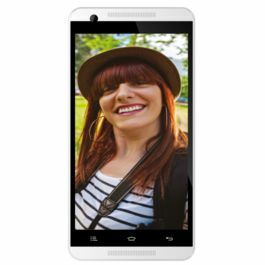 The camera has stupendous features like Flash, Auto Focus, Scene Detection, Face Recognition etc. to capture your special moments gracefully. Now record a live event with Full HD Video Recording feature. The most striking feature of XOLO Q3000 is that it has a powerful 5 MP Front Camera with BSI Sensor that helps you to make video calls. If music is your passion then XOLO Q3000 is the just for you as the phone supports an MP3 Player in WAV and MIDI formats as well as a Video Player too which supports MPEG-4, H.263, H.264, Full HD formats. The phone has 2 Digital Microphones and Ambient Noise Cancellation feature that delivers a clear and quality sound to you. XOLO Q3000 has a vast 16 GB Internal Memory and a 2 GB RAM that enables you to store huge amount of data by expanding the memory up to 32 GB. Now don't get worried of charging the phone every now and then with XOLO Q3000 as it has 4000 mAh Lithium-Polymer Battery. It gives a Talk Time of 33 hours in 2G network and 21 hours in 3G network and a standby time of 667 hours in 2G network and 634 hours in 3G network. This is one of the best selling products in GOSF 2014. XOLO Q3000 is a gorgeous dual sim phone with captivating features that makes the phone to stand out the best and a smartphone. 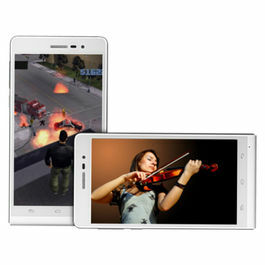 Display Get a magnificent and fair view as the phone has a big 5.7 Inches IPS Display screen. 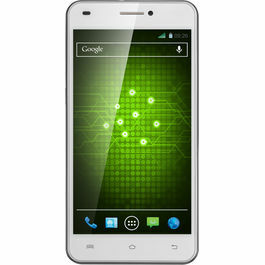 Now with XOLO Q3000 see the pictures, videos etc. more clearly as it has a full HD screen with a resolution of 1920 x 1080 Pixels. It gives life to pictures with a color depth of 16M. 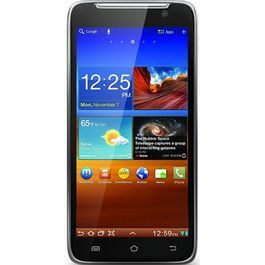 Operating System Get a power pack and robust combination of Android v4.2 Jelly Bean Operating System and 1.5 GHz MTK 6589 Turbo, Quad Core as Processor. This dynamic blend makes the functioning of the phone very smooth and effortless. Connectivity Now with XOLO Q3000 don't miss out a single update of your social networking websites as now getting connected with internet is possible with Wi-Fi. It has Android as preinstalled browser that facilitates you to download apps and more. 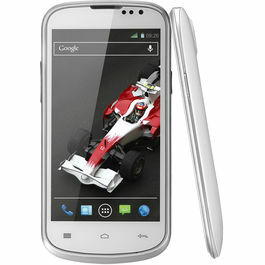 The phone supports 3G network with a bandwidth of 42 Mbps HSDPA; 11.5 Mbps HSUPA. You can share and transfer your pictures, music, videos and other data within fraction of seconds with USB and Bluetooth. Are you searching for the shortest route to your destination or unaware of the routes then leave your problem on XOLO Q3000 as the phone supports Standalone, A-GPS, with Google Maps that will make sure that you reach to your destination easily with utmost accuracy. Camera Give chance to the hidden photographer in you and give wings to your creativity with the brilliant 13 MP Rear camera with BSI 2 Sensor. The camera has stupendous features like Flash, Auto Focus, Scene Detection, Face Recognition etc. to capture your special moments gracefully. Now record a live event with Full HD Video Recording feature. The most striking feature of XOLO Q3000 is that it has a powerful 5 MP Front Camera with BSI Sensor that helps you to make video calls. Multimedia If music is your passion then XOLO Q3000 is the just for you as the phone supports an MP3 Player in WAV and MIDI formats as well as a Video Player too which supports MPEG-4, H.263, H.264, Full HD formats. The phone has 2 Digital Microphones and Ambient Noise Cancellation feature that delivers a clear and quality sound to you. 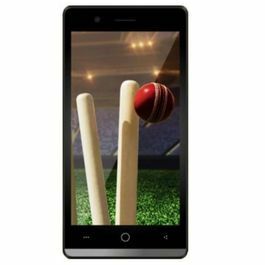 Memory and Battery XOLO Q3000 has a vast 16 GB Internal Memory and a 2 GB RAM that enables you to store huge amount of data by expanding the memory up to 32 GB. Now don't get worried of charging the phone every now and then with XOLO Q3000 as it has 4000 mAh Lithium-Polymer Battery. It gives a Talk Time of 33 hours in 2G network and 21 hours in 3G network and a standby time of 667 hours in 2G network and 634 hours in 3G network. This is one of the best selling products in GOSF 2014.